The Nursing Network on Violence Against Women International is holding its 21st conference in Melbourne this week. Rosie Batty, celebrated advocate for victims of family violence, welcomed guests, and speakers from the US, Timor Leste, Canada, New Zealand, Italy, Pakistan, Brazil, will join local advocates to present compelling material from their own countries over the three days. The Women’s family violence team will present a symposium on Strengthening Hospital Responses to Family Violence (SHRFV) today. The model has been developed and trialled by the Women’s and Bendigo Hospital in 2014, and is now being implemented by hospitals across Victoria, as part of a staged and progressive rollout. 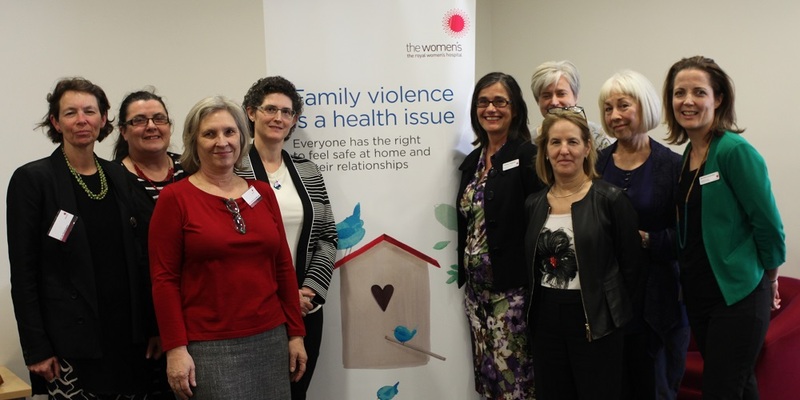 The SHRFV project builds hospitals’ capacity to identify and respond to family violence by promoting cultural change, developing and sharing new resources, and increasing staff competence in dealing with this very sensitive issue. Fifteen hospitals across Victoria are now participating in Stage three of the project, which commenced in August 2016. Michelle Schwensen, Manager of SHRFV at the Women’s and Angela Crombie, Director from Bendigo Health, will provide an overview of the program in their two hospitals. They will be followed by a panel speaking about their experience of the program’s implementation in both metropolitan and regional settings. The Women’s Kathy Heitbaum, midwife and family violence champion in the Emergency Department, will speak about the rollout in Emergency, staff’s commitment to it and patient responses. Professor Kelsey Hegarty, Australia’s first Chair of Family Violence Prevention, a joint appointment between the Women’s and the University of Melbourne, will speak on Friday on health system approaches to family violence. The Women’s is proud to have strong representation at this important conference, and to contribute to sharing information and approaches to addressing family violence in Australia and internationally.